Athens International Airport “Eleftherios Venizelos”, commonly initialized as “AIA”, is the primary international airport that serves the city of Athens and the region of Attica. Once you arrive at Athens (ATH) your private taxi driver will greet you at the assigned Meeting Point, and carrying a sign with your name on it. The driver tracks flight arrivals to Athens airport and delays using a special mobile application, so you will always be greeted at the right terminal at the right time. While travelling from the airport to Athens city center or any other destination, the driver will give you tips and suggestions on what to do in the course of your stay. All drivers are carefully selected, have local knowledge and speak English. Everything is arranged so that you can enjoy the relaxed and comfortable trip from Athens airport to central Athens or your holiday hotel. The WelcomePickups Athens airport transfer services can meet the needs of both small and large groups of travellers. Both a sedan car and a minivan vehicle are available as options. For up to 4 passengers, a comfortable sedan vehicle will be sufficient for your transfer from the airport to Athens city centre or any other destination in the Attica area. In the event that you are travelling with a large group of people (up to 8), a minivan can easily handle your ride in the most convenient way. However, if you wish, your Athens airport taxi transfer is just the start. You can also book in advance your “Skip-the-line” tickets for the best known attractions of Athens, such as the Parthenon, Acropolis Museum, Panathenaic Stadium and more. Your tickets will be given to you by your driver in order to avoid the big line ups at the ticket counters. You can also order SIM cards, wi-fi hotspots, souvenir boxes and more. Kostas greeted us very early this morning for our trip to the Port for our ferry. The service from enquiry to pickup with Welcome Pickups has been exceptional. The communication via email is easy and then getting confirmation on our driver with a photo makes you feel safe knowing who will greet you. We’re a group of 5 women travelling around Greece, and I would highly recommend Welcom Pickups for any transfer you have. Kostas as mentioned exceeded our expectations as far as transfers go, he was more than helpful and we wouldn’t hesitate to recommend him. Upon our arrival at the Athens airport, the driver was waiting for us holding up a sign with our name as promised. A few days prior to our arrival we received an email with the assigned drivers name and contact info. All in all it was an efficient pickup. We also booked them for picking us up at the hotel to drive us to the airport tomorrow, we shall see if they show up and are punctual, if not I will revise this review. 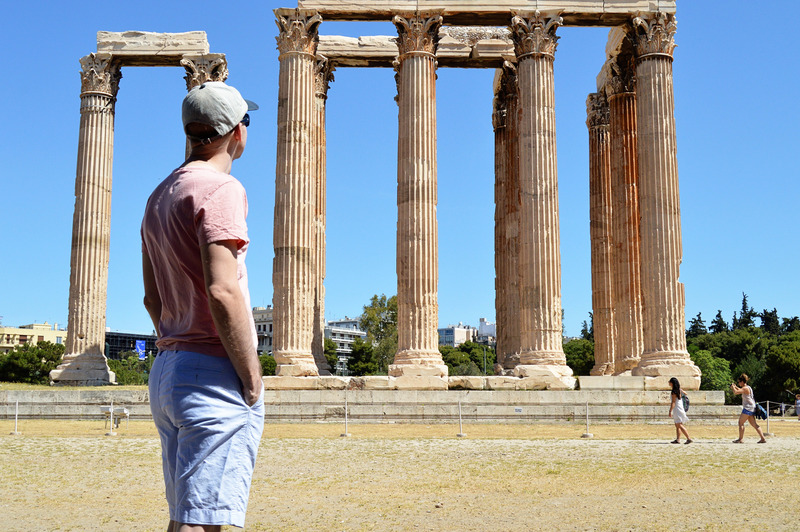 My 1st solo trip to Athens, Greece–my hotel Athens Gate suggested via email this car service. Since it was my 1st trip here, I felt fine paying a little extra to have a pick-upat the airport rather than try to figure out public transportation while jet lagged. There were MANY drivers with welcome signs at arrivals–my driver Aris used WhatsApp to contact me, and we were able to find each other immediately. We had a pleasant chat as he drove me to my hotel. My return flight later that week was 6am requiring a 4am car to the airport. My driver was on-time, and helped me (half asleep) with my luggage. Thanks Welcome Pickups in Athens, you made my transportation easy & reliable. it’s a pleasure to leave you a very good review! My daughter and I were originally planning to take the Athens metro to and from the airport, but after reading recent accounts of aggressive pickpockets on the trains we decided to book a reservation with Welcome Pickups instead–and are so glad we did! Aristeidis was waiting for us–even as we were delayed by long lines in customs. He offered us chilled bottles of water, a map of Athens and a tote bag. He was friendly and helpful, chatting about the local scenery and giving us advice for our trip. We decided to book his services for our early morning airport transfer the next day and he was there promptly at 6:30 AM–so nice to have a friendly face meeting you in an unfamiliar city. I love how they send you the name, phone number and photo of your driver so there are no surprises. It is worth a few more Euros (vs the train) to not have to worry about safety. Highly recommend Welcome Pickups! Get your low-cost transfer price quote now and enjoy your trip to Athens! Photo of Athens, courtesy of Andrew Hammontree, Flickr.